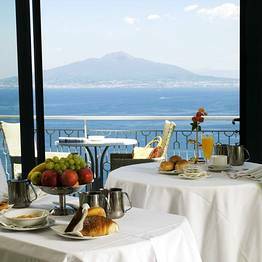 It's fair to say that the Grand Hotel President may have one of the most beautiful views of Sorrento and the Bay of Naples. 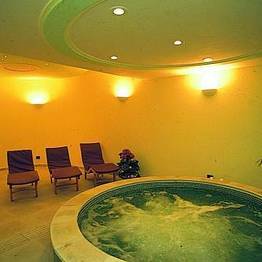 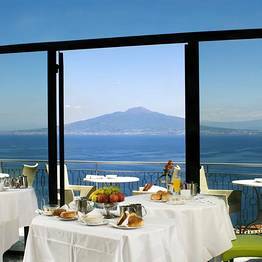 This four star hotel is perfect for relaxing in the lap of luxury near the center of Sorrento but surrounded by peace and quiet, with a view of the imposing peak of Mount Vesuvius on the horizon and a cool glass of wine in your hand. 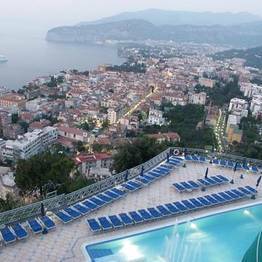 Spacious terraces with a view, all furnished with sun loungers, umbrellas, and deck chairs, lush Mediterranean gardens, a panoramic pool with a snack bar, a spa area with hot tub, sauna, and steam room, a fitness center, and an elegant restaurant perfect for a romantic dinner for two: at the Grand Hotel President you'll have all the amenities of a luxury hotel, but with the warm human touch of local hotel staff that takes pride in welcoming visitors to Sorrento. 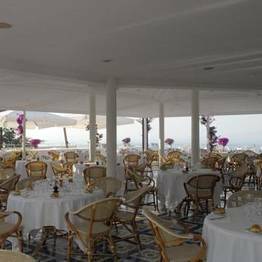 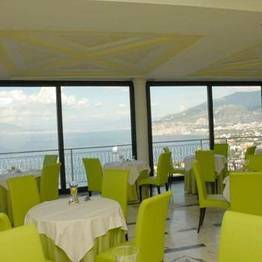 The restaurant at the Grand Hotel President in Sorrento is known for its dramatic dining room overlooking the bay and its excellent menu featuring local dishes and international cuisine, perfect for a romantic dinner or for satisfying even the most discerning palate. 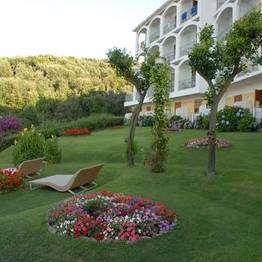 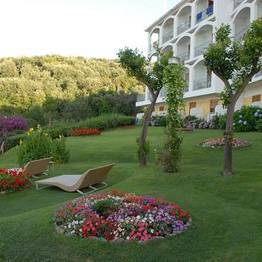 The hotel is surrounded by a large garden with shady trees and local Mediterranean flora, with quiet corners where comfortable garden sofas perfect for relaxing for a few hours with a good book and a cool drink beckon. 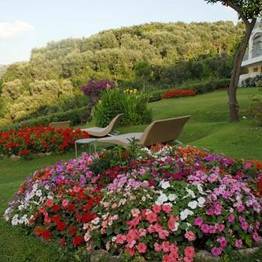 The footpath which winds between the terraces leads past pretty natural grottoes where you can find respite from the hottest summer days. 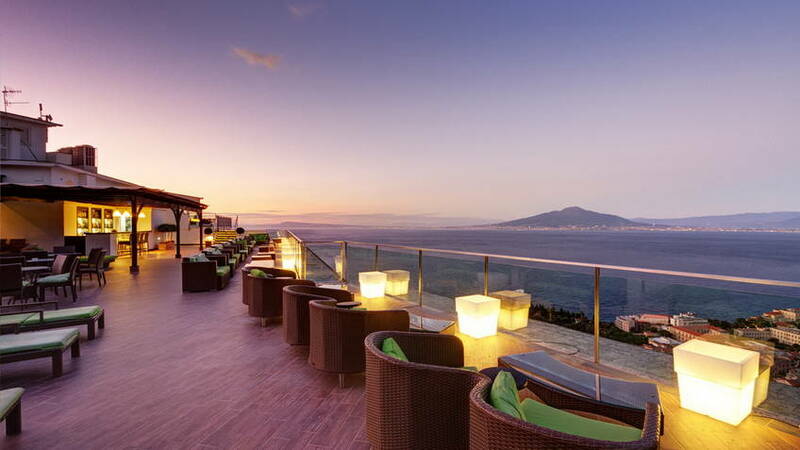 Cocktail hour at the Grand Hotel President is particularly memorable, as you can enjoy your drink in the elegant bar while watching the sun set over the Gulf of Naples. 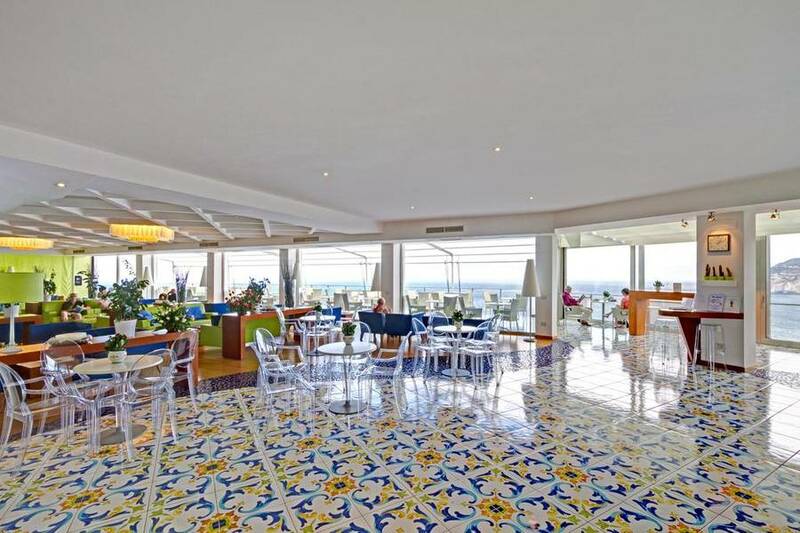 Stop by anytime during the day to savor the view in different lights, lingering over your afternoon coffee or wine. 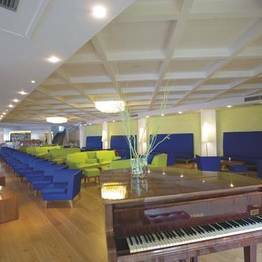 In the evening, the atmosphere becomes particularly festive as the piano bar features live music. 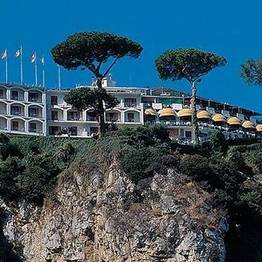 Guests at the Grand Hotel President can use the free shuttle service with scheduled departures for Sorrento. 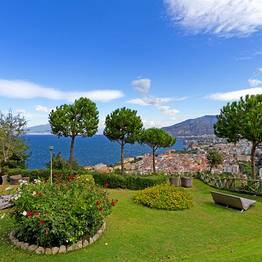 In just minutes, you'll be dropped in the center of town where you can tour the sights and spend some time shopping in the local artisan workshops and stores. 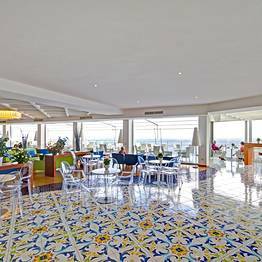 The hotel's excellent concierge service can also provide advice and assistance during your stay, arranging tours and activities according to your travel style and interests. 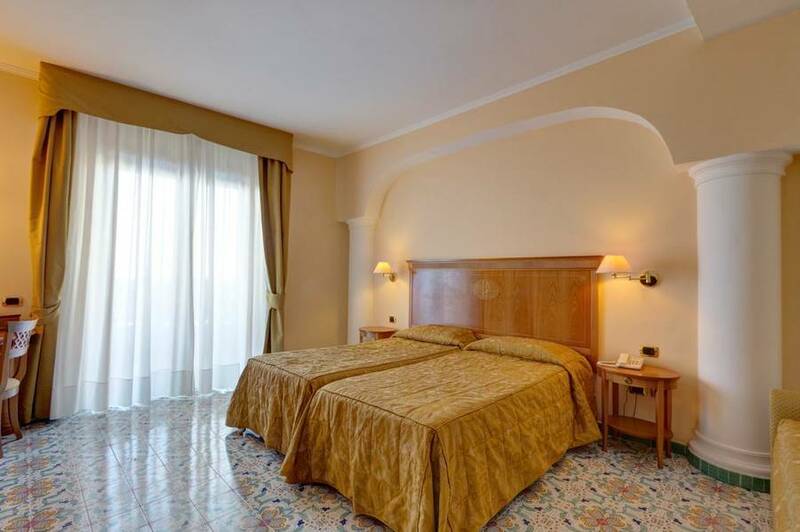 If you want to plan a destination wedding in Sorrento at a venue that will take everyone's breath away, book one of the elegant event halls at the Grand Hotel President: Sala President, Sala delle Sirene, or Sala Verde Mela. 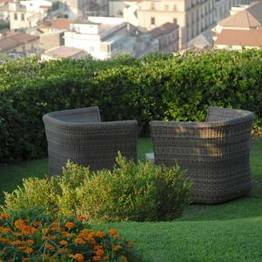 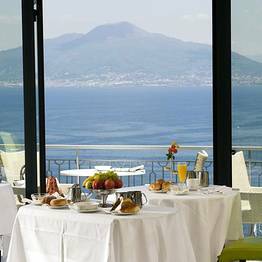 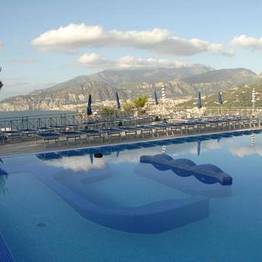 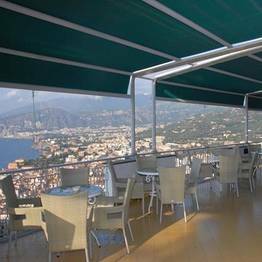 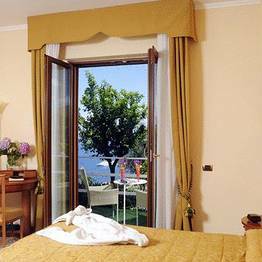 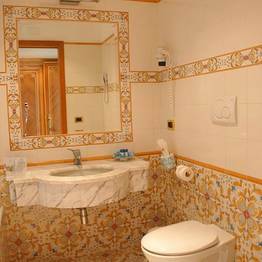 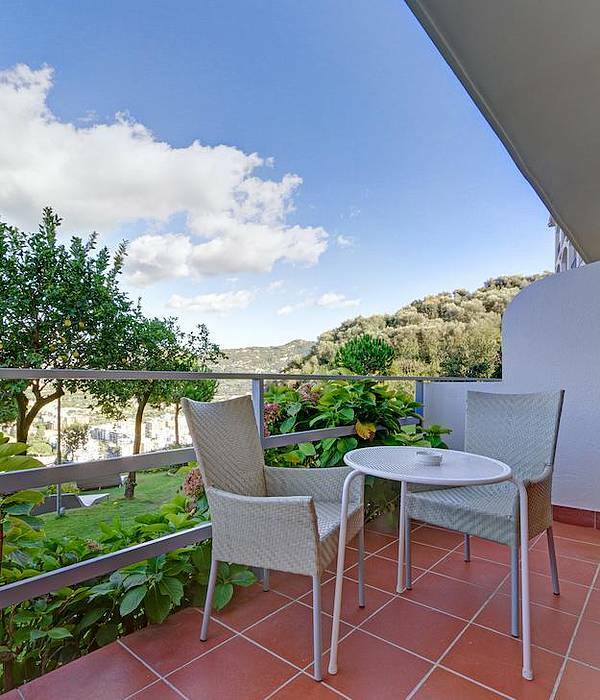 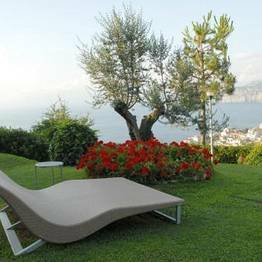 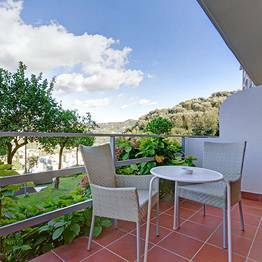 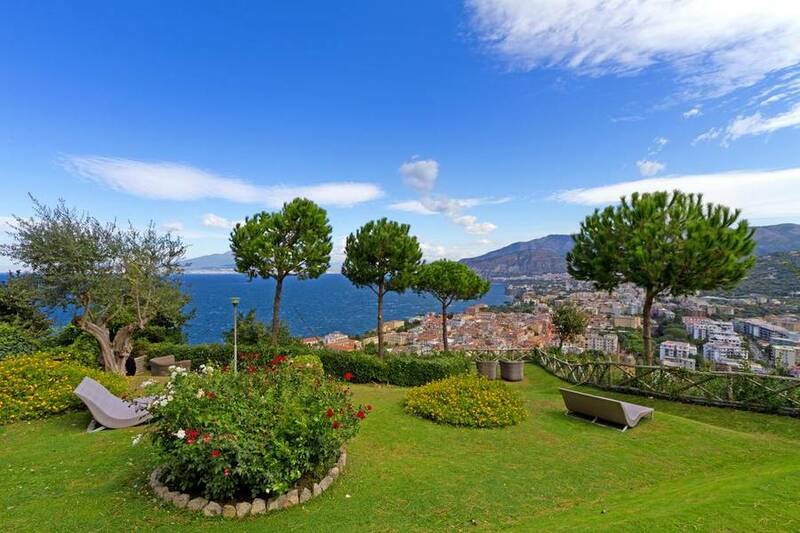 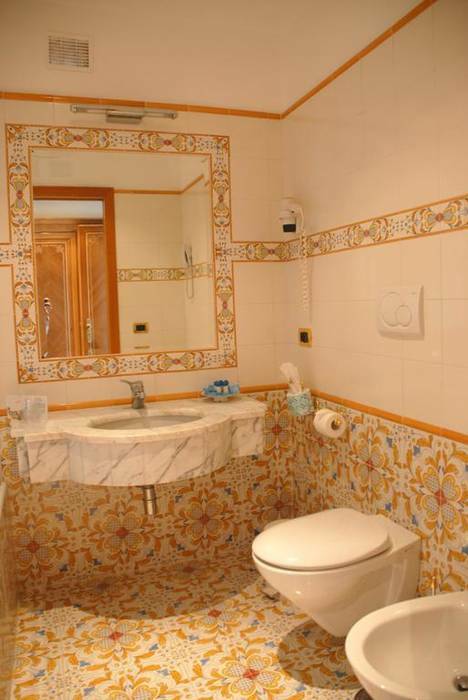 All have stunning views over Sorrento and the Gulf of Naples, and can hold from 40 to 180 guests. 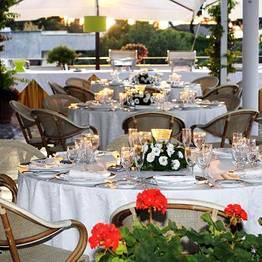 Choose the hall which best suites your wedding style, from the white Sala delle Sirene to the intimate Sala Verde Mela. 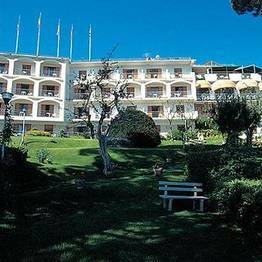 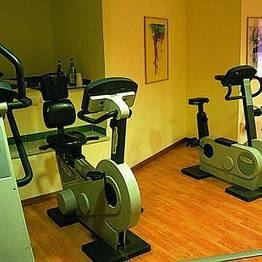 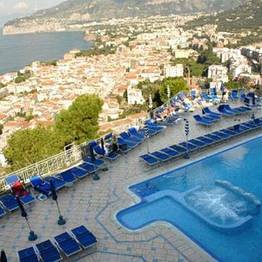 Grand Hotel President is located about 3 km from the center of Sorrento, the guests can use the hotel's free shuttle to travel to and from town in just minutes. 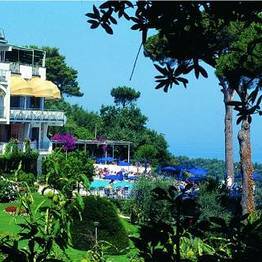 There is also a SITA bus route for Sant'Agata sui due Golfi which stops just 200 meters from the hotel. 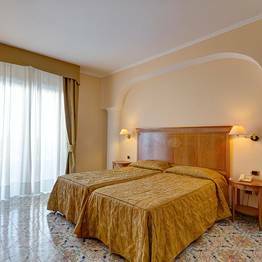 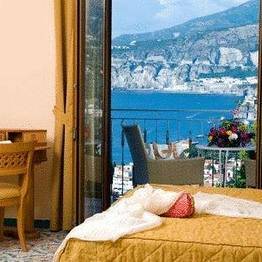 Grand Hotel President is perfectly situated for visiting the entire Sorrentine Peninsula and the nearby Amalfi Coast, and for taking day trips to the archaeological sites of Pompeii and Herculaneaum. 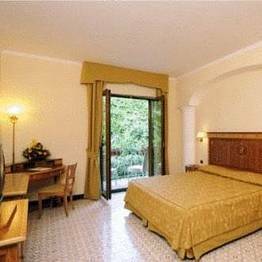 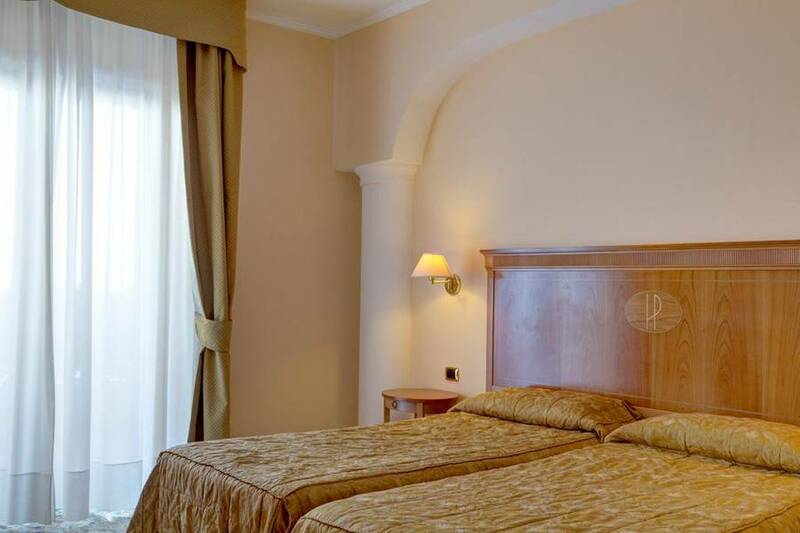 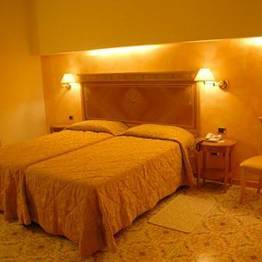 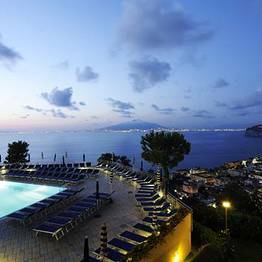 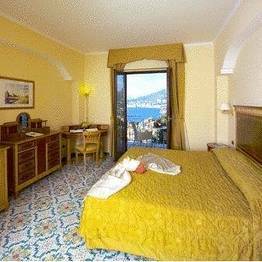 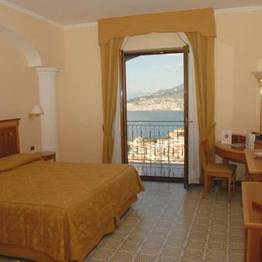 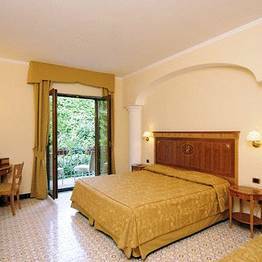 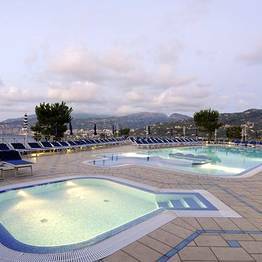 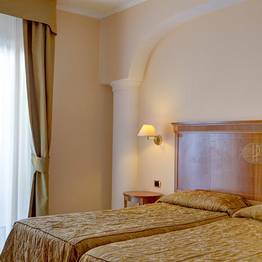 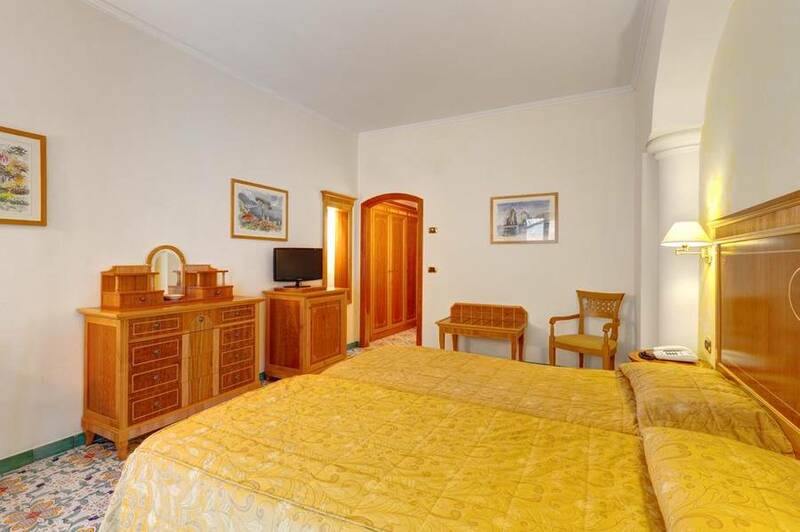 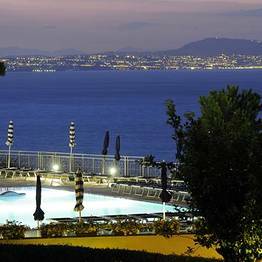 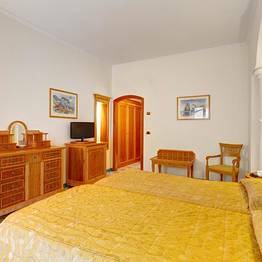 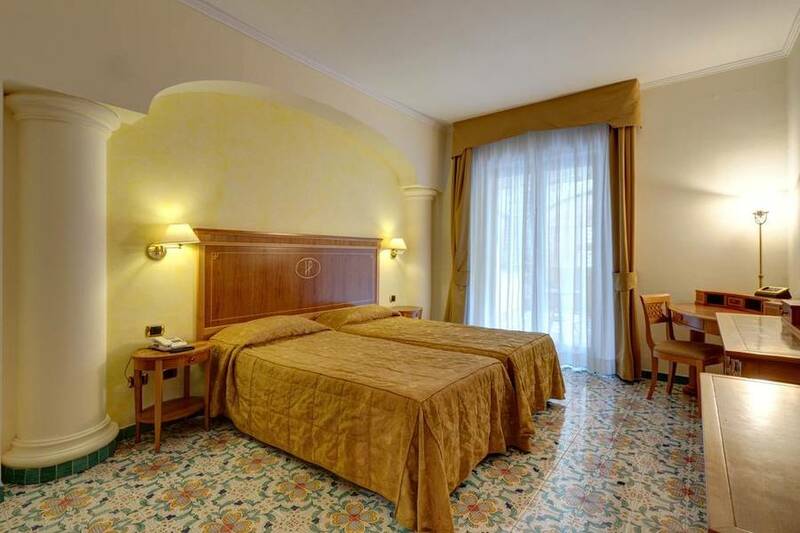 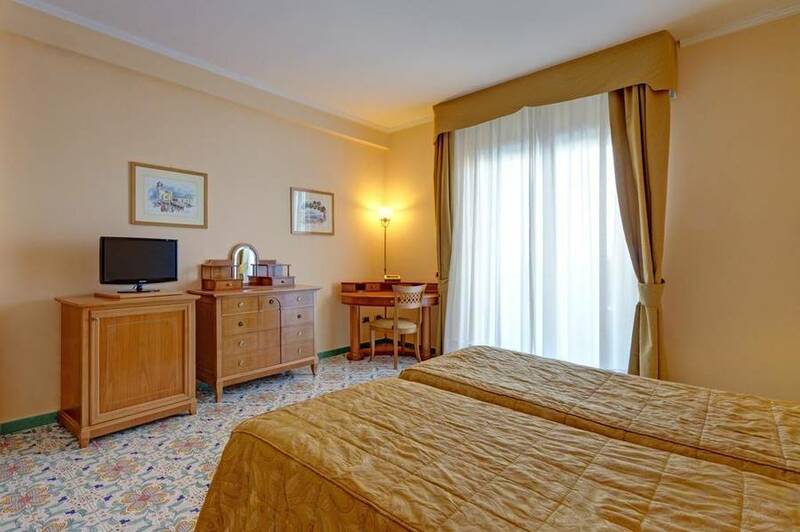 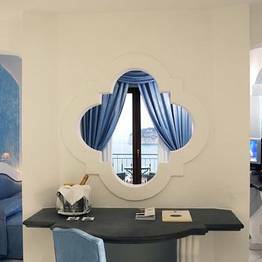 Book Grand Hotel President on SorrentoInsider now with no additional booking fees.